To determine the transportation improvements needed to support the development of the 196 acre Windy Ridge Business & Technology Park, the ICDC, working in conjunction with PennDOT District 10-0, completed a Transportation Impact Study (TIS). 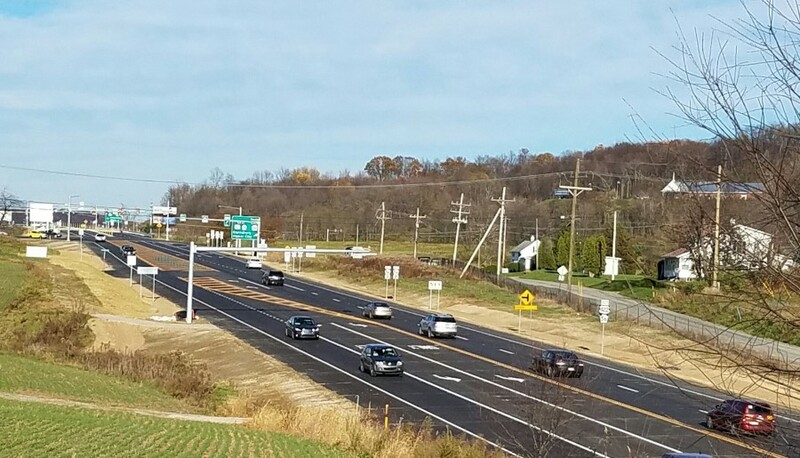 The TIS recommended a series of improvements to SR 286 and the US 422 Interchange at SR 286 including Ramps A, B, C and D. These improvements included widening SR 286 and the US 422 ramps to provide additional thru lanes and turning lanes, reconstruct the Windy Ridge Road driveway at SR 286, new signage and signalization along the corridor, drainage improvements and resurfacing the entire roadway and shoulder areas within the project limits. The project was a collaborative effort between the ICDC, PennDOT Engineering District 10-0 and SMA. The project stakeholders met and agreed to a non-standard approach in order to achieve a construction completion date of October 2016. The Design Kickoff Meeting and Field Scoping meetings were held in January 2015. The team then met and developed an overall project design and construction schedule based upon the desired construction completion date. PennDOT agreed to accept combined project submissions and permitted SMA to deal daily and directly with specific Department team members for quick resolution to design issues and questions. 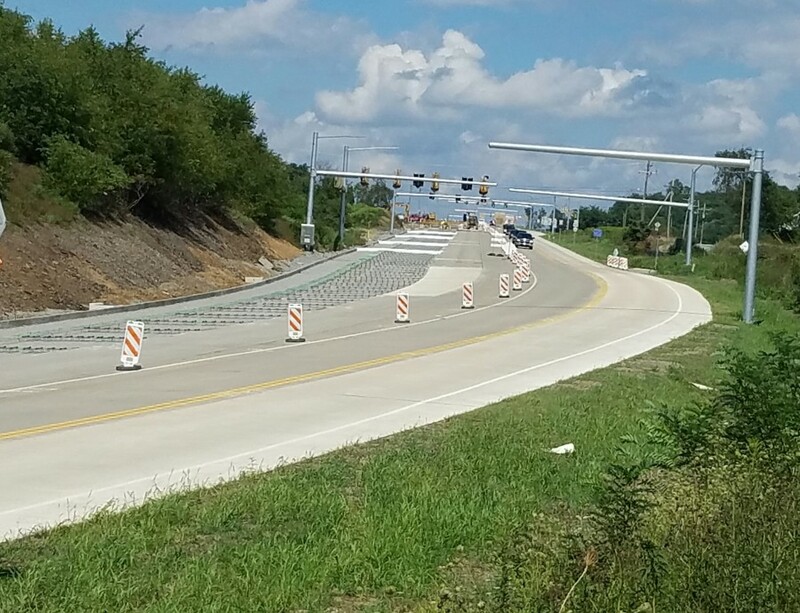 SMA completed the Final Highway Construction Plans, Traffic Control Plans, Signing and Pavement Marking Plans, Erosion and Sediment Pollution Control Plans, Structure Plans for S-35755, Cross Sections, Project Specifications, a Project CPM Schedule and a Project Cost Estimate. SMA coordinated the services of Gibson Thomas Engineering who completed the Traffic Signal Plans. PennDOT with assistance from SMA completed the Environmental Clearance Documents. SMA completed the Utility Clearance documents and coordinated the completion of all utility relocations prior to the award of the project. SMA prepared the NPDES permit application and received approval with the permit being issued prior the Project LET date. As the project design continued the overall project schedule was constantly reviewed and adjusted to provide the most effective way to complete the project. One adjustment was to incorporate the closing of the SR286 Bridge over US 422 over a weekend period in order complete the bridge remediation. A DETOUR plan was developed and implemented that allowed work to proceed 24/7 over a 4 day weekend period (Friday through Monday). During the design phase the existing corrugated metal storm piping along the roadway limits was found to be in poor condition and it was agreed that the system should be replaced. 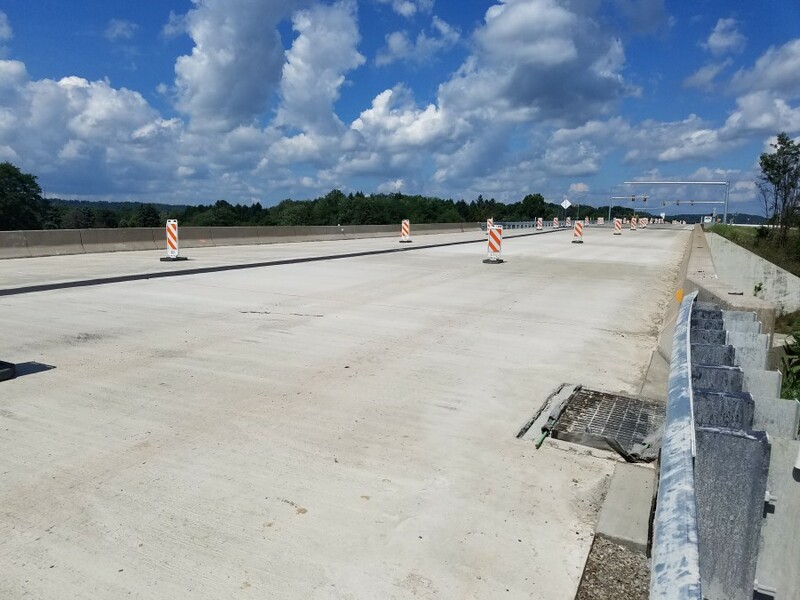 PennDOT also reviewed the age and condition of the existing concrete roadway section and determined that once the roadway widening was complete the entire final roadway sections should receive a 4 inch asphalt overlay. These items were added without changing the final design or construction completion dates. Design submissions included a TS&L for the bridge remediation, Pavement Type Approval, combined Line & Grade and Design Field View, Design Exceptions, Safety Review, Final Safety Review Plan, Check, Constructability Review, and PS&E documents. The project LET date was established as October 1, 2015 with the award occurring two weeks later to Frank J. Zottola Construction, Inc.. The Notice to Proceed was issued on November 12, 2015 and construction was started on March 1, 2016. Work continued throughout 2016 with the final inspection held on October 28, 2016, 3 days ahead of the original project completion date. Project was submitted to PennDOT and was bid through their ECMS system, a total of 7 bids were received. The low bidder was Frank J. Zottola Construction, Inc., with a bid within 6% of our estimate. Zottola was awarded the contract and completed construction in October 2016, 3 days ahead of the originally proposed completion date. Stiffler McGraw incorporated the design of scarification and hydro-demolition to the existing bridge surface followed by the installation of a latex modified concrete overlay. 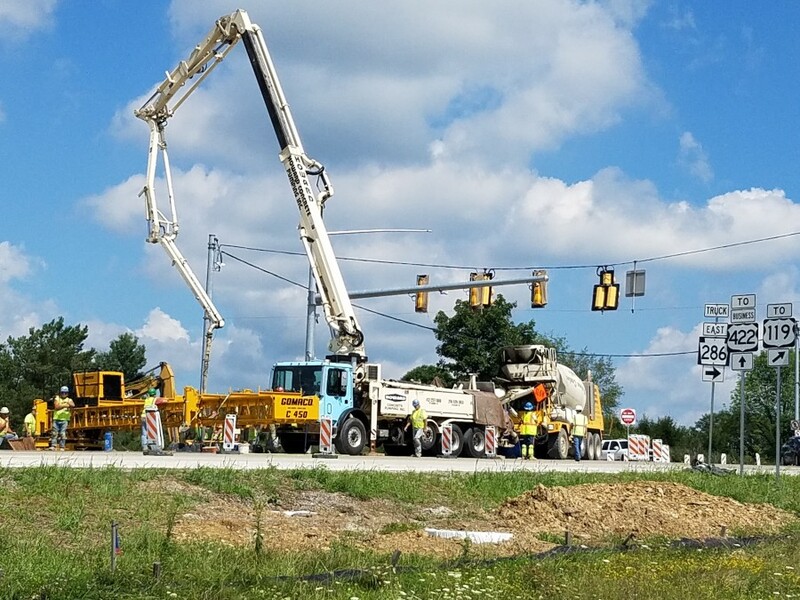 The project incorporated a fast-track design including survey of the existing roadway through final design and submission of the PS&E package for a PennDOT project Let. All of the design work was completed within an 8 month duration from Design Field View through project Let.